Corner3 Motorsports is proud to announce the first ever Brembo GT Front Big Brake System. Designed and engineered exclusively for the Tesla model 3. The rotor size and piston diameters were engineered around the factory brake master cylinder to further enhance the Tesla Model 3’s performance. Using feedback we’ve given, Brembo went with a 355x32mm rotor designed to fit under most 18″ wheels. The Brembo GT Systems are specifically designed and engineered to each of their applications. Unlike other manufacturers who have a universal caliper adapted to different vehicles, the Brembo GT Caliper’s piston size and stagger are engineered around the vehicles master cylinder and brake bias. The Brembo GT is a monobloc caliper (one solid block) designed for track day enthusiast and drivers who demand the most out of their vehicles whether it’s for a track day or cruising the streets. The Calipers are radially mounted and matched to 355x32mm 2 piece rotor that gives the system greater braking torque and increased thermal capacity. This results in a more direct and immediate brake feel that gives consistent and high levels of control. Fixed calipers improve the durability and efficiency of the system. The multiple opposed pistons spreads the load across 6 smaller pistons resulting in more precise pedal input and uniform force distributed through the pad for uniform wear and consistent brake feedback. The stiffer calipers matched with the more rigid radial mount and included stainless steel brake lines further improves the braking stability and allows you more input and feedback to modulate and control every last bit of brake pressure and release when diving into a turn on the track or slowing your car gently to a stop at the light. The GT system has 3 initial options for brake rotors. We requested a rotor size of 355x32mm with foresight knowing that these systems will be used for performance. This rotor size was chosen in order to fit under most 18″ wheels including the factory Model 3 wheel. The thicker rotor maintains its thermal capacity while the directionally vaned air gap quickly dispels heat, pulling air from around the hub to the outside edge of the rotor. Drilled: Suitable for a wide range of applications and driving environments especially wet weather. Provides the highest initial response of all the available disc face types while continually refreshing the braking surface and also typically being lighter. Drawbacks are that they are more prone to heat checking and thermal cracking if used consistently at extremely high temperatures. Suggested for cars that will only see street driving and the occasional spirited run and for a casual weekend hpde event. Slotted: Aimed at providing stable brake feel and more resilience against thermal cracking. Stable braking feel at all temperatures, low dist wear and continuously refreshing the braking surface for optimum performance. Drawback almost unnoticeable but the slotted disk has the least initial response (bite) compared to the other disc faces. TYPE 3: (Aggressive face type) Motorsports developed face type with an emphasis on high initial response while maintaining a smooth pedal release. Highest overall braking confidence, control, and allows driver to spend less time on brake pedal. When chasing the fastest lap time, less time on pedal usually means a quicker lap time. Drawback is that any disc with an aggressive face type will have a higher chance to mechanically abrade the pad and disc surface leading to quick or uneven pad wear. These variables however are dependent on the cars setup and track layout as well as other variables. We will have multiple rotor options available that you can spec into your system depending on your needs. We will be working with all drivers to help them understand and select a system best suited for their needs. 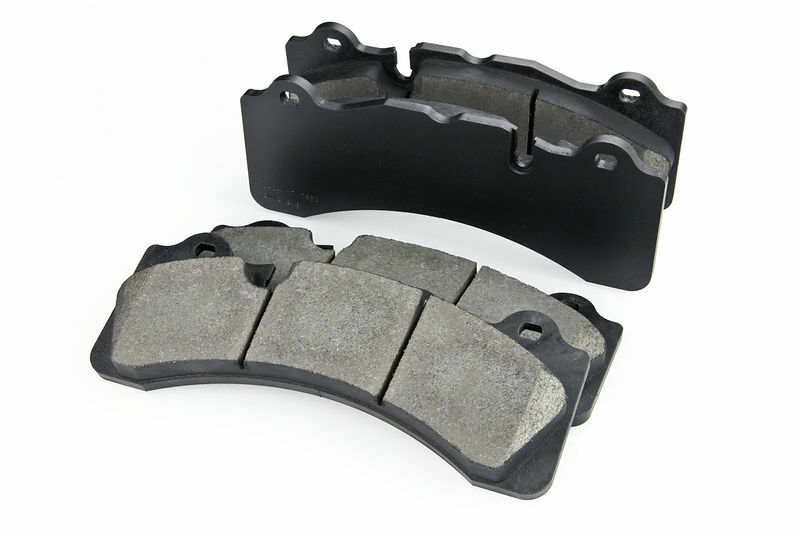 We will also provide insight and knowledge into multiple brake pad compounds from multiple top level friction manufacturers to further enhance the system. Be the first to review “Brembo GT System Tesla Model 3 Front Big Brake Kit” Click here to cancel reply.